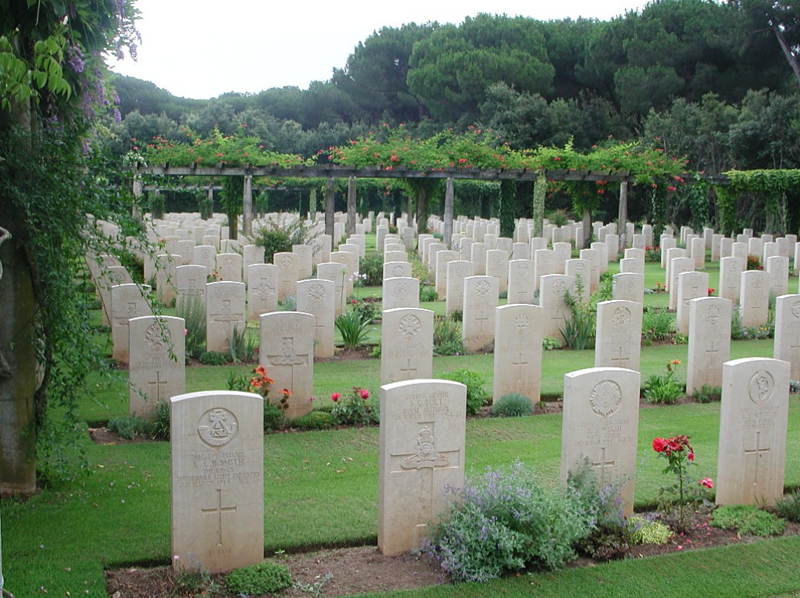 To reach Anzio take the Route No.148 Superstrada Motorway, which runs between Rome and Latina. 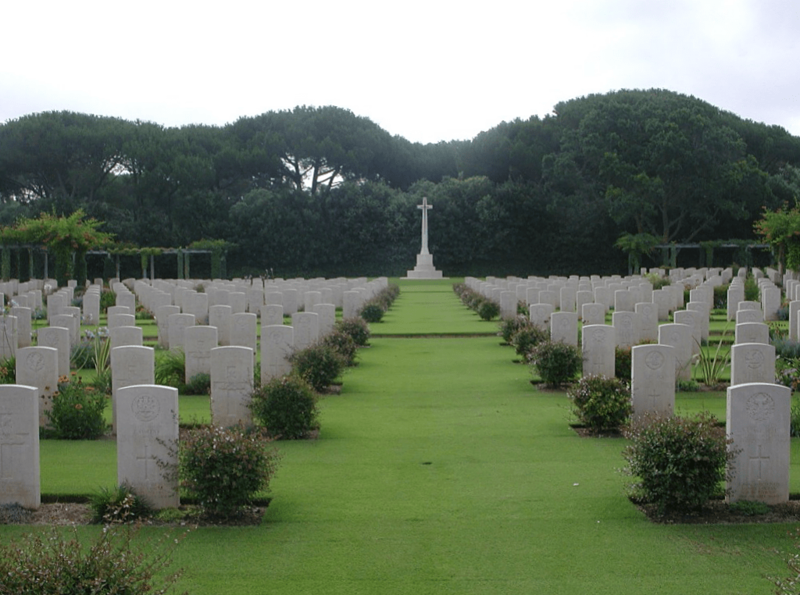 Turn off the Superstrada at the No.207, following the signs towards Anzio. The route is well signposted from the Superstrada. The Cemetery lies 5 kilometres north of Anzio town on the No.207 and Commission signs are visible 150 metres from the cemetery. There is a small parking area at the main entrance. 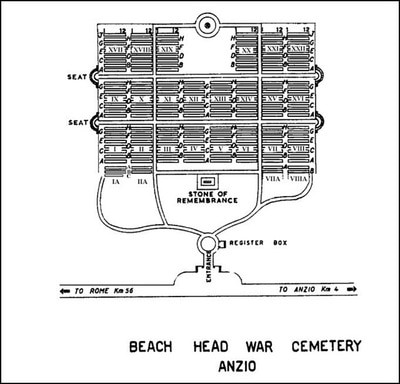 Beach Head War Cemetery should not be confused with Anzio War Cemetery which lies just off the No.207, 1 kilometre north of Anzio just close to the communal cemetery of Anzio. Cemetery address: Via Nettunense km 34 - 00040 Anzio (RM) Lazio. GPS Co-ordinates: Latitude: 41.482355, Longitude: 12.625456. A Visitor Information Panel has been installed at this site. The panel features information about the cemetery and a QR (Quick Response) code. When scanned with a smartphone, the QR Code provides access to further information, including the personal stories of some of the casualties buried or commemorated at Anzio Beach Head War Cemetery. Progress through southern Italy was rapid despite stiff resistance, but by the end of October, the Allies were facing the German winter defensive position known as the Gustav Line, which stretched from the river Garigliano in the west to the Sangro in the east. Initial attempts to breach the western end of the line were unsuccessful. 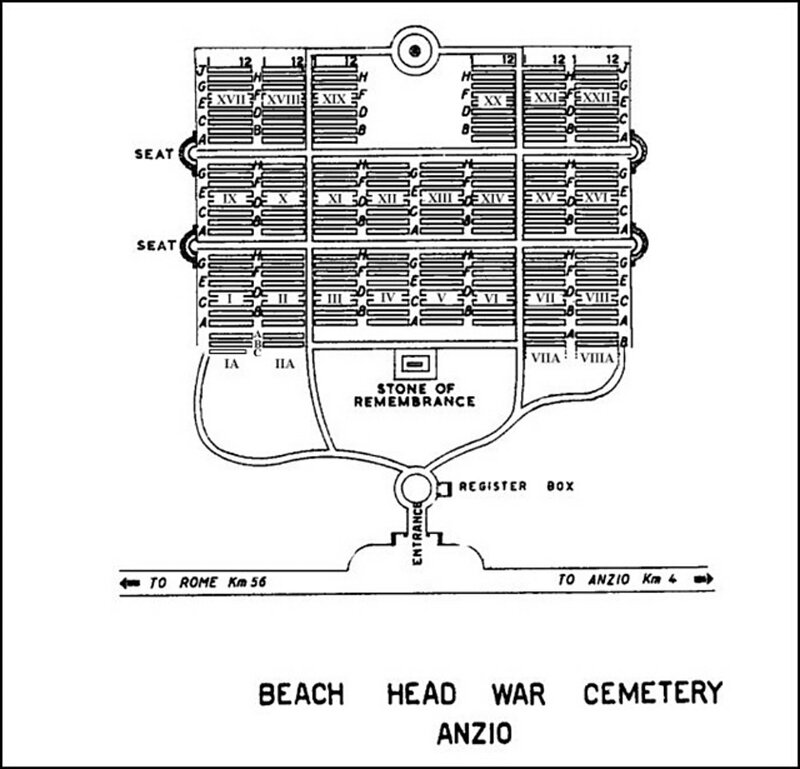 Operations in January 1944 landed troops behind the German lines at Anzio, but defences were well organised, and a breakthrough was not actually achieved until May. Beach Head War Cemetery contains 2,316 Commonwealth burials of the Second World War, 295 of them unidentified. 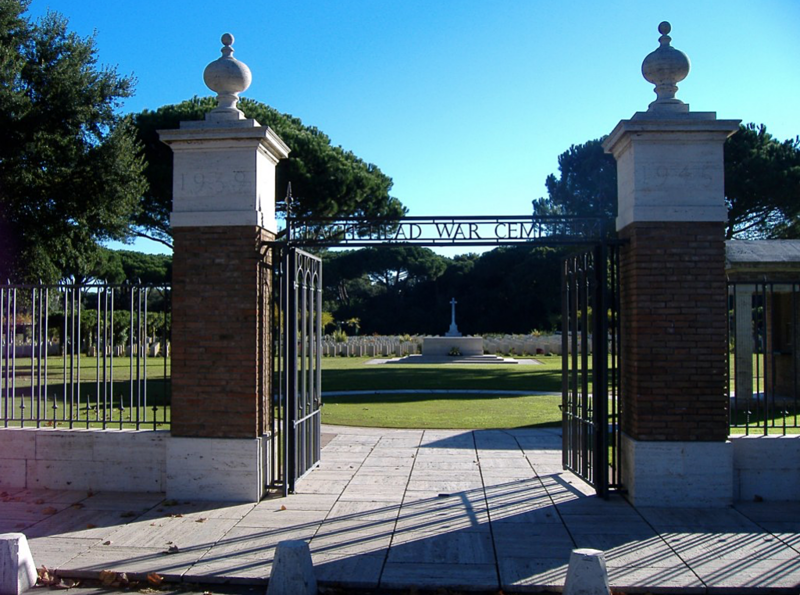 There is also one First World War burial which was brought into the cemetery from Chiete Communal Cemetery near Rome. The cemetery was designed by Louis de Soissons. 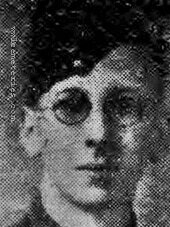 5568932 Serjeant Maurice Albert Wyndham Rogers, V. C. M. M.
2nd Bn. Wiltshire Regiment, died 3rd June 1944, aged 25. Plot X. D. 8. Son of Albert Edward and Dora Grace Rogers; husband of Lena Elizabeth Rogers, of Plaistow, Essex. 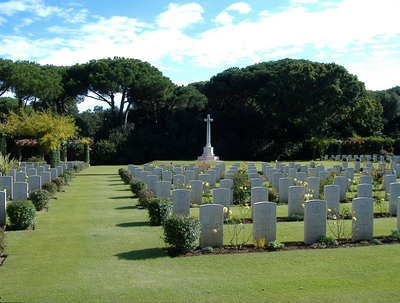 Citation: The citation in the London Gazette of 8th August, 1944, gives the following details; In Italy, a battalion of the Wiltshire Regiment was ordered to attack high ground held by the enemy. The carrier platoon of the leading company, dismounted were ordered to capture the final objective. They advanced under intense fire and sustained a number of casualties. 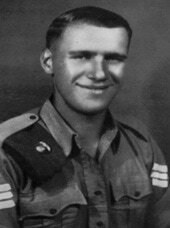 The platoon, checked by the enemy's wire and the intensity of his machine-gun fire, took cover some 70 yards short of their objective. 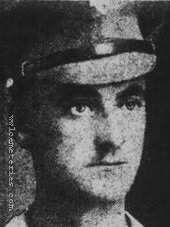 Serjeant Rogers continued to advance alone, and penetrated 30 yards inside the enemy's defences, drawing their fire and throwing them into confusion. Inspired by his example, the platoon began the assault. Serjeant Rogers was blown off his feet by a grenade, and wounded in the leg. Nothing daunted, he ran on towards an enemy machine-gun post, attempting to silence it. He was shot and killed at point blank range. This N.C.O. 's undaunted determination, fearless devotion to duty and superb courage carried his platoon on to their objective in a strongly defended position. The great gallantry and heroic self-sacrifice of Serjeant Rogers were in the highest tradition of the British Army. 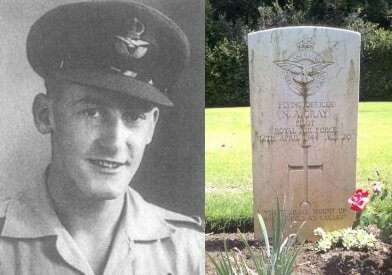 4th February 1944, aged 32. Son of William and Nellie Barker, of Burnley, Lancashire; husband of Phyllis Barker, of Burnley. 93rd Sqdrn. (Spitfires) R. A. F.
12th April 1944, aged 20. 2nd May 1944, aged 23. 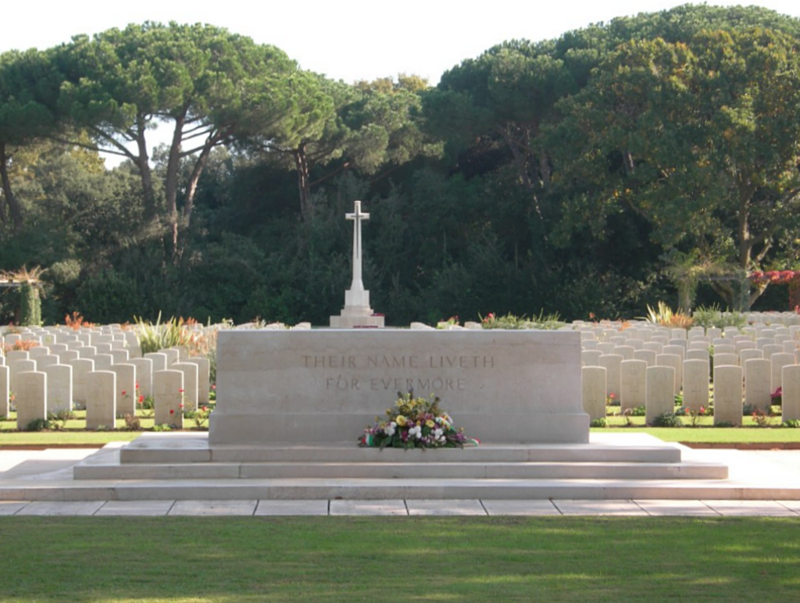 Between 24th February 1944 and 27th February 1944. Son of Samuel Edward and Millicent Olive Rea, of Lichfield, Staffordshire.